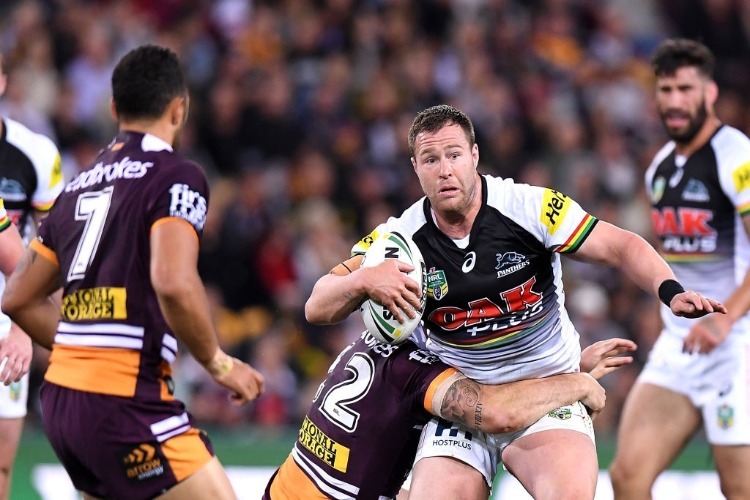 Trent Merrin says he was shocked at being squeezed out by Penrith and vowed to show NRL clubs what they are missing at Leeds Rhinos. He was forced to swap a summer pre-season in Sydney for a freezing cold one in the Yorkshire winter after no NRL club showed any interest in signing a player who was a Blues regular between 2011 and 2015 and part of Mal Meninga's Kangaroos squad less than two years ago. The 29-year-old got off to a losing start with his new club on Saturday when the Rhinos went down 26-6 to Warrington - who are coached by his former St George Illawarra boss Steve Price - in the season opener. "I had no idea how big the club is," Merrin told AAP. "I heard great things about it, but just coming into the place and seeing how passionate the fans and the players are it's something special." "The move come about a bit sooner than I expected, but rugby league is a tricky game," he said. "Every NRL team's roster and cap had been sealed up so it was complete shock to the system. "But looking back on it now, I am probably glad in a way that it happened. "There is plenty of footy left in me at the age and the stage of my career that I am at and I am desperate to prove I can still play at a high level. "Things happen for a reason. Coming here, getting away from what I have known for my whole life. It's a big test to try and make the uncomfortable comfortable. "It was a scary move for me but once we arrived I have made sure that it is all business." "It can be a bit crazy back home," Merrin said. "Being over here it does give you a chance to breathe, get away from hype and the media scrutiny and the enjoy the simple things. "I am really excited about the journey ahead."